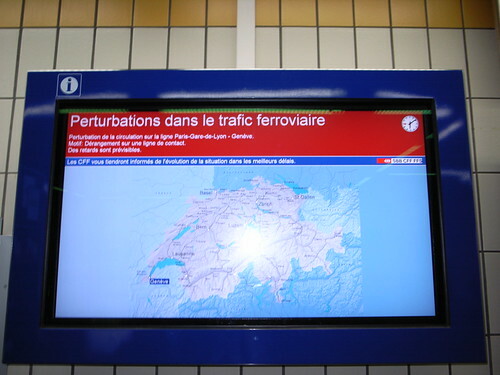 In swiss railway stations, some TVs like this allow to check the state of the traffic. The map can indicate the portion of the network that have troubles. An interesting example of giving feedback to users, a bit basic but there might be some interesting information to depict. I haven't seen yet any information on the map itself (on this example, it's only a list of problem on a red background).